Author John Dukes is changing lives. His son, John Jr., passed away in 2016 after living with Autism Spectrum Disorder. In his latest book, Dadders, Can I Pet the Whales?, Dukes takes readers on an emotional journey through the story of his family and the story of his son, whose take on life and the world is both powerful and life-changing. 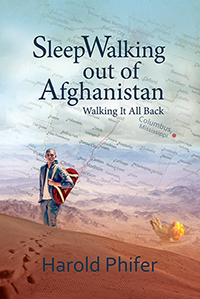 We interviewed Dukes as his book began to receive public recognition. JD: The book is about how a child with Autism can affect a whole family and people surrounding him. 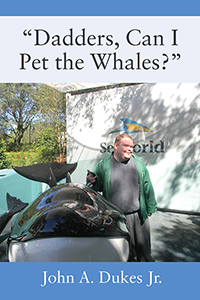 I starting writing the book when I took a trip to SeaWorld® with just John and myself. I had finished the book and had it on the back burner until my son John died from septic shock from a gallbladder infection. That’s when I decided to finish the book. Q: This clearly has enormous personal significance to you, not just as in terms of the finished project, but in terms of content. The subject of Autism Spectrum Disorder (ASD) is one which has long been poorly understood. What was important to you about exploring this subject, with all of its personal implications, in the form of a book? JD: This question has a lot of answers. First of all, Autism affects 1 in every 57 families. That means 1 in every 57 children are diagnosed with some type of Autism. My wife and I knew something was different about our son John but couldn’t put our finger on it. Once he was diagnosed with PDD (Pervasive Developmental Disorder), which comes under the Autism umbrella, that’s when we started with research and reaching out to others in the same circumstance. My book is to let you know if you have a child with Autism you are not alone. The one thing I learned about myself is how much patience you need to deal with a child with Autism, and not just Autism but all children with special needs. God only gives you what you can handle. I learned what unconditional love is. John didn’t know the seven deadly sins. He only knew love, and his smile was awesome. The writing of my book was therapeutic for me. It helped me get through a tough time in my life. When my book was published, it made me feel like I was complete and John would live forever through the book. Everyone that reads the book gets to know John and my family. Q: We’ve already seen some incredible community engagement surrounding your book. Could you describe how it has been received by your community, the attention you’ve been getting, and what you hope to be the result of this engagement? JD: The book has been received exceptional by the community. I have received accolades not only from every person that read the book but I also received a Proclamation from Delaware County Council for Autism Awareness. I have received recognition from State Senators and State Representatives. My book has touched the hearts of the people that read it. They either knew us or know someone with an Autistic child. It shows some of the difficulties families go through with children that have disabilities. Q: What did the average day spent writing look like for you, and what writerly habits helped you along the way? JD: On average I spent each day writing and rewriting page after page to make sure my words came across the way I wanted them to, in order to portray me and my family. My writing habits were simple: from my earliest education about writing to my college days, I always wrote from the heart. I don’t believe in fluff. Tell it like it is and keep it short and to the point. Q: What’s next for you and your family? Are there more books in store? JD: My amazing son John passed away on July 21, 2016. I was lucky enough to have John with us for 25 years and 2 days. I was blessed to have him for that long. John died from septic shock from an infected gallbladder. I don’t know what’s next for me. I thought about another book related to John and my family and I am in the process of writing, but if it turns into a book only time will tell. If enough people show interest in it maybe I will publish it. The only thing all proceeds from my book go to the Challenger League which John played baseball for and the National Autism Society. Visit Outskirts Press for more information on John Dukes and to purchase Dadders, Can I Pet the Whales. 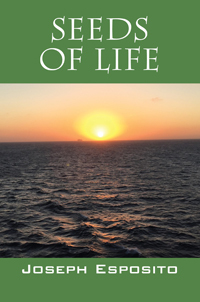 Joseph Esposito’s “Seeds of Life” is an exploration of wisdom gained from a life well-lived, sharing lessons about self-respect, relationships with loved ones, how to discover your calling in life, and most of all, how to make the most of every day. Plant your seeds now and then pass them onto your children and grandchildren for lives better lived.